Christmas is just around the corner and thinking of where to celebrate the festive occasion can be hard at times. However, do not worry as Pizza San Francisco may just be the place for you as they offer a wide variety of Christmas items at an incredibly affordable price. Situated in Kota Damansara, right beside the Segi Towers and tucked at the back of the shoplots, Pizza San Francisco isn't the easiest of places to find. Hence, using Google Maps or Waze is highly recommended in this situation. The interior of Pizza San Francisco is fairly simple, with tables larger than required, it's a pretty comfortable set-up with an extravagance in table spacing. There are two seating areas provided - air-conditioned and an "outdoor" area where smoking is permitted. Simple, cozy and fairly straight-forwarded. So without further ado, it's time for a feast! Starting off the feast with a glorious selection of beautifully roast chicken. It comes in a portion of a quarter chicken, where guests can request for it to be sliced nicely like the photo above. Hence, it would be much easier to enjoy without all that effort. The meat is also soft, moist and packed with flavour from the skin. It also comes with a side of signature homemade cranberry sauce which compliments the roast chicken really well, alongside a small portion of salad. Next on the list of chicken is the Chicken Roulade with a filling of exquisite flavours. Do not be fooled by its simple appearance and the lack of detail on a plate as the filling itself takes quite a considerable amount of skill to execute. The mixture is a secret but I could roughly tell that there were some chicken liver involved. Regardless of what it is, the roulade is actually pretty delicious while the homemade sauce is both rich and savoury. For those who aren't really a fan of chicken, why not try out their selection of salmon instead? The Christmas edition of the traditional pan-seared salmon is done with additional seasoned breadcrumbs on top and lemon sauce. The fish is not only fresh, but flaky and well-seasoned too. 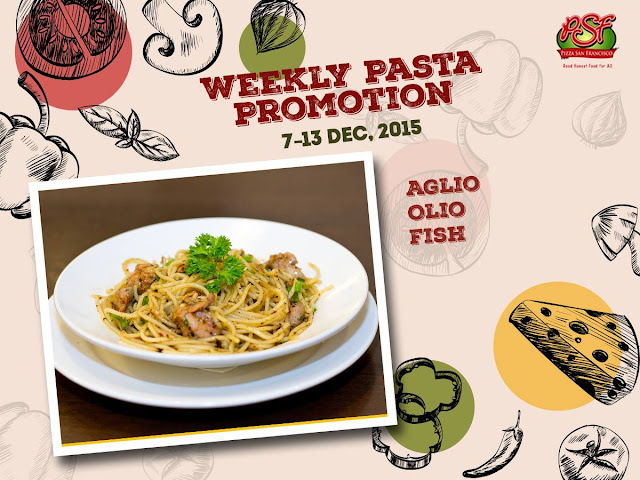 The breadcrumbs above adds a dimension of taste and texture, elevating the standards of the salmon. With all that richness on a plate, it's nice to have a light lemon dressing to help balance the flavour out. Served with a side of wedges and salad. Although this isn't on the Christmas menu, it's well worth the order when you're celebrating here. The lamb is seasoned to perfection and it tastes absolutely amazing. In terms of flavour, there are no issues. The only thing that you should remember is the degree of doneness within. If you like it pink, do tell the waiter beforehand as they assume most people would only take well-done. Apart from that, pretty good. It is after all, Pizza San Francisco. So not having a serving of pizza may seem a little odd. Unlike most places, the pizza is done is a round and flat shape. Here, it's made to be like a Calzone, or rather, a giant Italian curry puff with plenty of fillings. The San Special includes a series of chopped turkey salami, minced chicken, cherry tomatoes, garlic, chili and mozzarella cheese. Soft, chewy and packed with wide array of delicious and savoury fillings, it is definitely worth the try! For starters, you can also opt for some nachos filled with tomato salsa, mozzarella cheese, jalapenos, avocado and sourcream. A simple but truly addictive dish indeed. For something with a little twist, why not try out their chili mussels as well? Served with homemade chili sauce, salad and a side of toast. One of Pizza San Francisco's signature item, although not very fancy, but it certainly is really addictive. Crispy toasted baguette topped with cheese and tomato sauce - a simple dish to say the least but definitely worth trying out. In conclusion, Pizza San Francisco is more than just a place for pizza. It is in fact, a place for affordable, good and honest food that is catered to almost anyone. 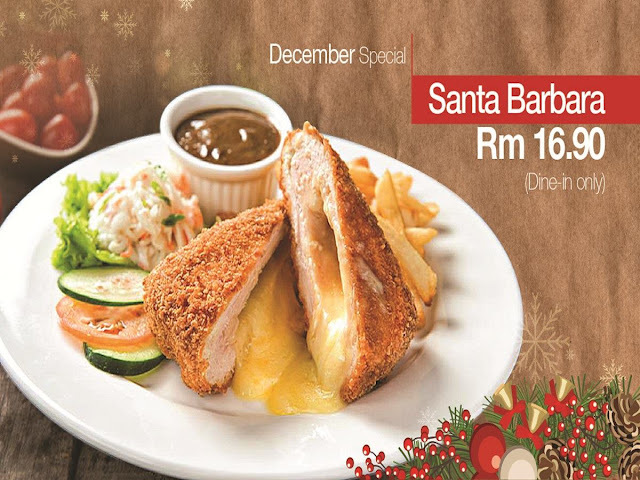 Apart from their standard menu, their range of Christmas items too are well worth the try. Considering that 2/3 of the menu is less than RM30, it's undeniably a bargain to say the least. Also, for the drinks, do try out their "Kedongdong" juice, which is an absolutely delight with its balance of acidity and sweetness. PS: Pizza San Francisco also has a weekly promotion (usually pasta) and a monthly promotion on some of their main entres. Operating hours: Daily 12pm - 9pm. I will definitely come check this place again with some other awesome friends of mine! It's one of best LA event venues for having a good time with a joyous feeling. And it fascinates me with its great style and vibrant atmosphere.